Hey - silly question. 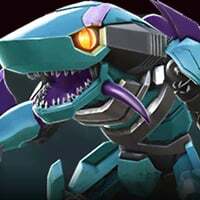 Is there any plans to create 5 star sharkticons? Hmm, that's a good question. We don't have any plans right now, but I will put this on the team's radar. What happens if I Forge a 4* shark? Will I get 5* shards after the update? At this time, there will not be any Shards for Forging a 4-Star Shark into a 5-Star Bot. Neither Sharkticon Crystal shards, or Regular 5-Star Bot Shards. Thanks for clarifying. I forgot to ask about opening 4* sharks too. 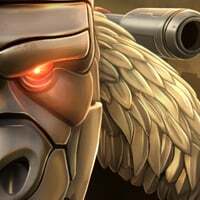 Will there be 5* shards for opening one? Save dem sharks till this is fixed. Those little fishies are far too valuable. You literally quoted the part where he already answered your question... Wow. Actually, he quoted Mike saying forging gives nothing and asked if opening them gives any shards. My guess is no, there are no regular 5* shards for opening a 4* shark since they're two separate crystal systems in the game. Just opened a 4* shark, confirmed no shards. Forging gives 4* shark shards again. So @kabam valiant directed me here saying I can find answers... but I see no updates other than @Kabam Miike saying no plans and will put it on team’s radar... it’s almost a month... will there be any changes?? That was what I was asking in my original thread. Study the rules about necroing, set a calendar reminder then come bumping before the deadline. I didn’t mean to necro... I started a new thread which @kabam valiant closed and he asked me to come here... my question is, are there any changes coming up for forging 4* sharks? Mods, it’s been a month since you said you would surface it to your team, so any updates on this? I know. What I mean is: since this thing has been considered and, common sense granted, it's about to happen anyway as the days go by, you can just ask from time to time. Sharks ain't useless, they are pretty great forge material.